Why you should opt for PGDM course for Management Studies? Students looking for better career opportunities in management after graduation are faced with various dilemmas such as, which program to pursue - MBA or PGDM. While, both programs are postgraduate in management of two years duration, there are some differences between the two. 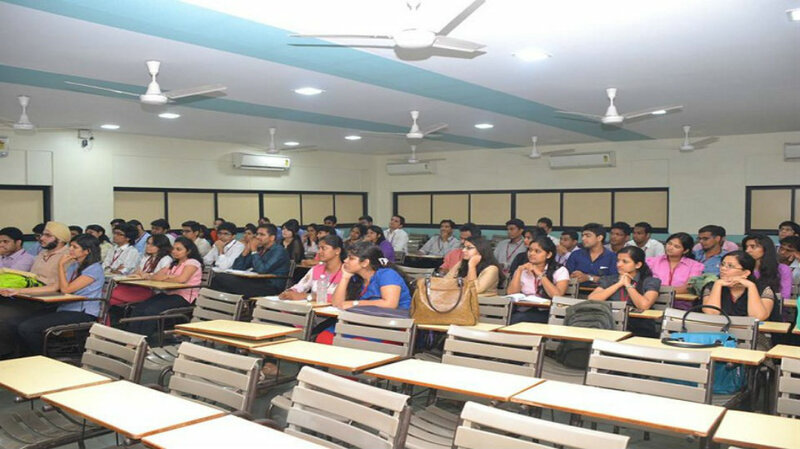 Unlike MBA, PGDM courses are offered by autonomous institutes. The Indian law allows only a university to offer degree programs such as the BBA, MBA or B.Tech. Autonomous educational bodies that run independently provide PGDM and other such programs. The management aspirants looking forward to boosting their career and sharpening their managerial skills tend to prefer a PGDM program. The program is examined and approved by AICTE and the institute needs to gain other certifications from Association of Indian Universities. Technically, PGDM is not a postgraduate degree but a masters diploma program but there is no difference between PGDM and MBA when it comes to how the industry treats them in the outside world. The career growth opportunities are similar for both and it is more dependent on the individual performance than on any other factor. Even in the global context, the job opportunities are similar. • Up-to-date curriculum: The syllabus for Post Graduate Diploma in Management is frequently updated according to the current industry practices and trends. While university syllabuses are not updated for at least three years, the institutes offering PGDM tend to update their syllabus regularly. Since the industry and technology are constantly changing around the world, these upgrades in the program make it more industry relevant and helpful for the learners. Professional feedbacks from industry experts are kept in mind when formulating these courses. • Enhance the individual’s personality: The program gives its students the advantages of developing their entrepreneurial and business skills. It also helps the students build their confidence level and face the challenges with confidence in their academics and beyond. Practical training holds utmost importance in these courses. Along with their theoretical studies, the students are encouraged to be a part of various extra-curricular activities. These activities help them acquire leadership and decision-making skills. • Industry ready: The up to date curriculum and features such as industrial visits, guest lecturers by industry experts, etc. help the learners to understand the industry better. The practical projects provide them opportunities to learn more about their subjects and help them develop team skills. Management Institutes like IES MCRC analyze the case studies of global and Indian companies that provide the students with an opportunity to understand real life corporate problems. The institute conducts class tests, surprise tests, projects, assignments, presentations, and more to let the students bridge the gap between theory and practical. • Subject specialisations: The PGDM programs have numerous elective subjects to offer its students such as, Financial Management, Marketing Management, Logistics and Supply Chain Management, Pharmaceuticals Management etc. These subjects help them understand the individual subjects and the working of various fields of management. • Placement opportunities: PGDM is a meticulously conceived industry-oriented programme that helps students learn innovative tools and methods to realise their full potential. Students that study PGDM tend to be more industry ready and are offered good salary packages. Working individuals can get good hike in salaries and promotion opportunities after pursuing the program.